BNA International (Pvt) Ltd. is a subsidiary company of BNS Holdings (Pvt)Ltd. BNS Holdings is a company formed with the objective of providing total solutions to the Road construction and Development, and construction/Housing Markets, through total integration of its product lines and to have the widest possible range of products and services. BNA International was formed with this objective of specially catering to the road construction and development segment as a SBU of BNS Holdings, to give better value to our customers in the form of service, delivery, Value addition, quality assurance, flexibility and speed. As a part of our services offered to our customers, Backed by our professionally qualified well experienced team, we provide Technical services in the form of Consultancy in road construction, training on product usage and application, Research and development, Product quality testing and certifying. BNA Oxidized (Blown) Grade Bitumen is product by vigorous air blowing. 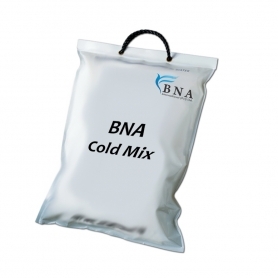 BNA Oxidized (Blown) Bitumen 85/25 is product by either a staggered or a continuous blowing process. The heated penetration Grade Bitumen under controlled environment is blown with air which controls the oil content in the Bitumen which it is oxidized. The different grades produced for suited applications are distinguished by two numbers to indicate the mid points of their softening point and penetration ranges. They are more â€˜rubber likeâ€™ and less temperature susceptible than the paving grades. Fuel oil can be added to the process to increase the penetration if required for custom applications and requirements. 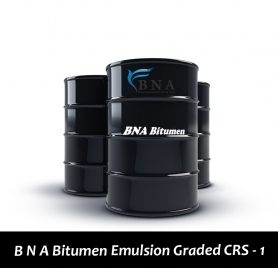 BNA Cutback Grade Bitumen is normally used in spraying and in some mixing application. Cutback Bitumen is penetration grade bitumen blended with a solvent such as kerosene, white spirit, gasoline and naphtha controlling the curing time. Cutbacks are divided into 2 types, Rapid Curing (RC) and Medium Curing (MC) depending on the solve used. Commonly used for road and pavement construction and maintenance. Cutback MC 30 is blended with a solvent such as Kerosene, a medium curing petroleum cutter. BNA Bitumen Emulsion made up of three basic ingredients which include Bitumen, an emulsifying agent and water. It is a well-known fact that asphalt and water will not mix, except under carefully controlled conditions using highly specialized equipment and chemical additives. Cationic Emulsions which have positively charged ions may be used at ambient temperatures with aggregates, which do not have to be completely dry. Emulsions are less hazardous to use and can be applied in the wider range of conditions and used for many applications including road surfacing. 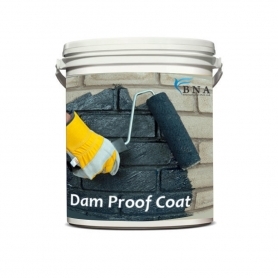 BNA Bitumen Emulsion made up of three basic ingredients which include Bitumen, an emulsifying agent and water. It is a well-known fact that asphalt and water will not mix, except under carefully controlled conditions using highly specialized equipment and chemical additives. Emulsions which have positively charged ions may be used at ambient temperatures with aggregates, which do not have to be completely dry. Emulsions are less hazardous to use and can be applied in the wider range of conditions and used for many applications including road surfacing. 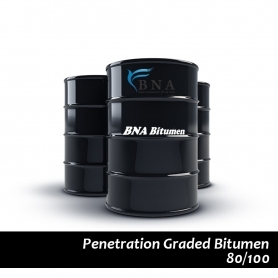 BNA Bitumen 80/100 is penetration grade bitumen used for construction for Road, Aviation, Runways and other pavement applications. 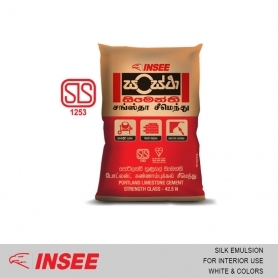 This grade is mainly used in the manufacture of emulsion and cutback product as well as it use for sand sealer and penetration macadam. It is homogeneous and does not foam when heated to 160°C. BNA-Bitumen 60/70 is penetration grade bitumen used for construction of Road, Runways and other pavement applications. This grade is mainly used in the manufacture of hot mix asphalt for base and wearing courses. It is homogeneous and does not foam when heated to 174°C. 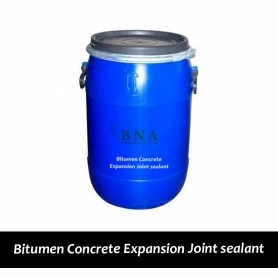 BNA Concrete Expansion Joint sealant (BNA CEJS) is composed of a mixture of materials, including Oxidized Bitumen that will form a resilient and adhesive compound capable of affectively sealing joints in concrete against the infiltration of moisture and foreign material throughout repeated cycles of expansion and contraction with temperature changes.